- Aplication: We offer premium quality Heat Exchanger Gaskets which are widely used for heat transfer applications for sealing and jointing of two metal pipes. 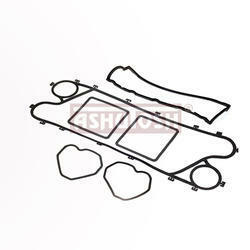 Plate heat exchanger gaskets (PHE) compatible with all the manufacturers of heat exchanger are supplied. The gasket quality and performance is proven. Most of the gaskets are available ex-stock and on competitive price. Some of the heat exchanger gaskets we maintained in stock are ALFA LAVAL, GEA-ECOFLEX, SWEP, APV, SONDEX, TRANTER, FISCHER, SCHMIDT, FUNKE, etc. We manufacture, supply and export an exquisite range of PHE Gasket for Ammonia Plant. These Plate Heat Exchanger Gasket are strong and sturdy in nature and resistant to corrosion. High mechanical strength and reliable performance are some of the salient specifications of these gaskets. - Widely used in heat exchangers. Prices will vary according to the Material, Quality and Customization of the product. We offer our clients high quality Heat Exchanger Gaskets that are fabricated using advanced technology and quality material as per OEM specifications. Our range is appreciated for exceptional chemical and thermal resistance properties and are extensively used to avoid any leakage under compression in oil & gas industry. 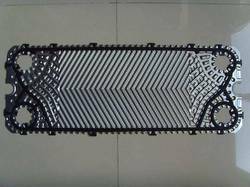 We are the best provider of wide varieties of Heat Exchanger Gasket which are designed using premium raw materials. These are widely used in several essential requirements and are manufactured using superior raw materials. Our products are highly reliable, advanced, accurate in size, high in demand and are very easy to install. Our expertise enables us to offer PHE Gaskets of high quality. The range is extensively demanded in cement, dairy, chemical and other industries. metal jacketed gaskets are the most commonly used style of gaskets in heat exchanger applications and operate at temperatures beyond the capabilities of the soft gasket materials. these gaskets may be supplied as double jacketed or single jacketed corrugated , or just flat metal with no filler material. Kisan Dairy Equipments India Pvt. Ltd.